The issue arose when the Taxi Regulator was absorbed into the NTA, and its premises was transferred to the NTA’s. 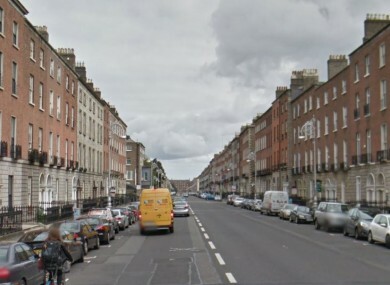 THE NATIONAL TRANSPORT Authority is set to lose nearly €1 million after it agreed to sublet a city centre property on Fitzwilliam Square for €90,000 a year less than the cost of its lease agreement, until 2024. The total loss to the semi-state body from undercharging on the Dublin office space will be €975,000, as the NTA is covering the substantial shortfall in the rental difference itself. The office space, 35 Fitzwilliam Square, was initially rented by the taxi regulator commission on a 35-year lease at €170,000 per annum. In 2012 the taxi regulator commission was rolled into the National Transport Authority’s remit and moved to the authority’s current offices near Adelaide road. The city centre office space however was “re-let at a lower rent than the authority’s [lease] obligation” according to the Dáil public accounts committee, which began looking into the NTA’s significant financial loss on the property in late November. The government comptroller and auditor general Seamus McCarthy identified the substantial loss the Transport Authority had projected to take on the lease deal in their 2015 financial audit. The cost of covering the undercharged rent was €225,000 between 2013 and the end of December 2015. McCarthy outlined that the government quango has set aside a further €750,000 to cover the shortfall as “the lease does not expire until 2024”. The NTA is “taking the full hit” on the costs, McCarthy told the Dáil public accounts committee before Christmas. The Transport Authority is subletting the office space to the National Council for Curriculum and Assessment (NCCA) for €80,000 a year. The Office of Public Works assisted the NTA in finding a sub-leasing arrangement, and as such the property was sub-let to another public body rather than put on the private rental market. The deal meant the “NCCA was in turn able to exit a significantly more expensive lease for its previous accommodation” according to the NTA. The NTA is responsible for subsidising certain Dublin Bus, Bus Éireann and Iarnród Éireann routes, as well as investing in public transport schemes. The authority has recently been considering changes to the Bus Éireann “Expressway” service worker’s terms and conditions, after the regional service operated on a loss of €6 million in 2016. Dermot O’Leary, general secretary of the National Bus and Rail Union said that the loss of just under €1 million on the NTA’s subleased rental property “doesn’t comes as a surprise”, and that the authority becoming a “HSE on wheels”. The NTA might be “one of the only bodies that could manage to lose money in the current Dublin rental market” O’Leary stated. “The amount of money involved here would be better spent on providing frontline transport services” the union chief claimed, particularly in the context of uncertainty around the Bus Éireann Expressway service. A spokesperson for the NTA said it “inherited” the lease when the authority took over the state taxi regulator office, and that it included a “no break-clause and upwardly only rent-reviews”. The semi-state body could have refused to sublet the property for anything less than the total rent, and would have ended up with “zero incremental rental income” the authority’s CEO Anne Graham stated. She said that given “prevailing market conditions at the time” in 2013 the authority decided to settle and sublet the offices for €80,000 a year, and to service the outstanding €90,000 in rent themselves for the next ten years. Independent TD Catherine Connolly, who sits on the Dáil public accounts committee, said the figure was “a huge loss” for a public company to make on the subleasing of a building. The comptroller and auditor general told the Dáil committee that the expenses incurred are “quite significant” and that leasing decisions must “involve significant levels of resource commitment”. Email “National Transport Authority to lose nearly €1m after 'taking the hit' on subletting offices”. Feedback on “National Transport Authority to lose nearly €1m after 'taking the hit' on subletting offices”.